Dallas Buyers Club looks back to the early days of AIDS, when a diagnosis of the disease was akin to a death sentence before the development and approval of the life-saving drugs available today. In the film, rodeo cowboy Ron Woodruff (Matthew McConaughey) is diagnosed with AIDS and given a few weeks to live. Unsatisfied with this prognosis and the poisonous drugs available at the hospital, Woodruff begins a quest for better AIDS treatments, starting a buyers club to supply himself and his members with unapproved yet more effective pharmaceuticals. The film is nominated for six Academy Awards, including Picture, Actor (McConaughey), Supporting Actor (Jared Leto) and Original Screenplay. Since Ron's pursuit of treatments that will improve his health and extend his life is a central plot of Dallas Buyers Club, I used that as inspiration for the drink, a riff on the gin & tonic--"tonic" is this case could also mean something physically restorative. And the barrel-aged gin represents Woodruff's desire to do what the doctors tell him he won't: age. 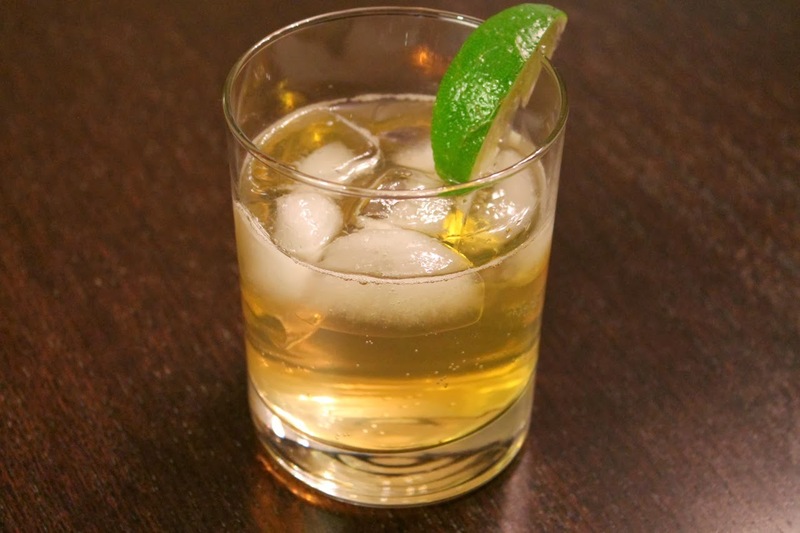 Add gin, ginger liqueur and tonic to a rocks glass with ice. Stir to combine and garnish with lime wedge. See all of this year's Oscar Cocktails. This film deals with pretty sensitive subject matter, but you've managed to come up with a drink that honors the main character. 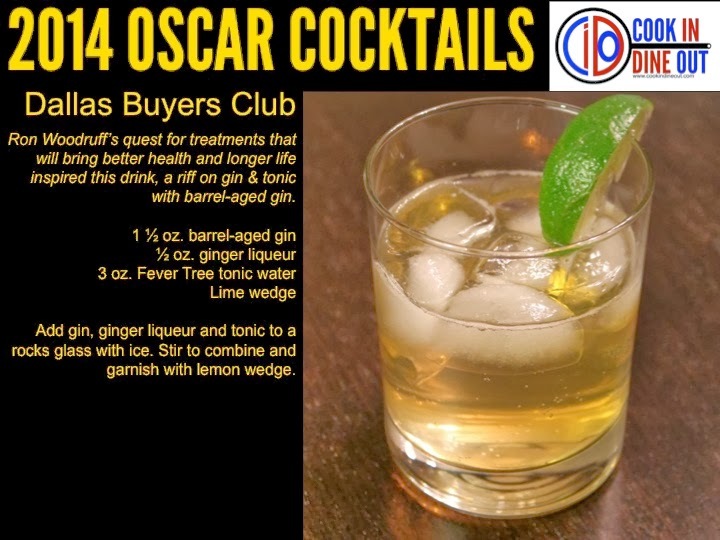 Your Oscar-themed cocktail recipes are the most thoughtful I've seen. Good job.